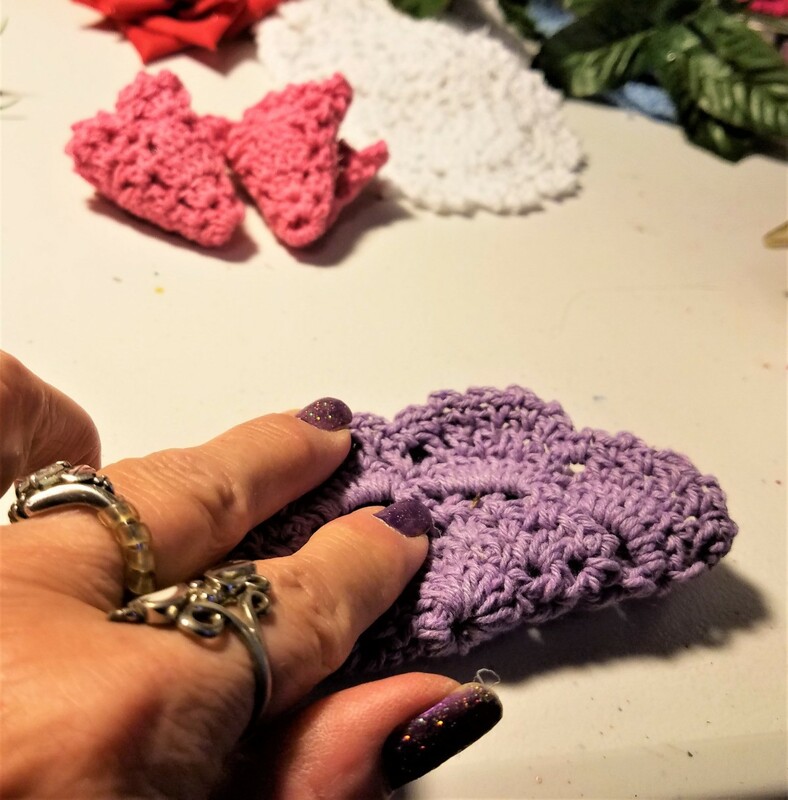 I got 60 mini doilies in 2017 and have been using them for a lot of projects since then. Today, it is making 6 doily roses. I think you will like these. 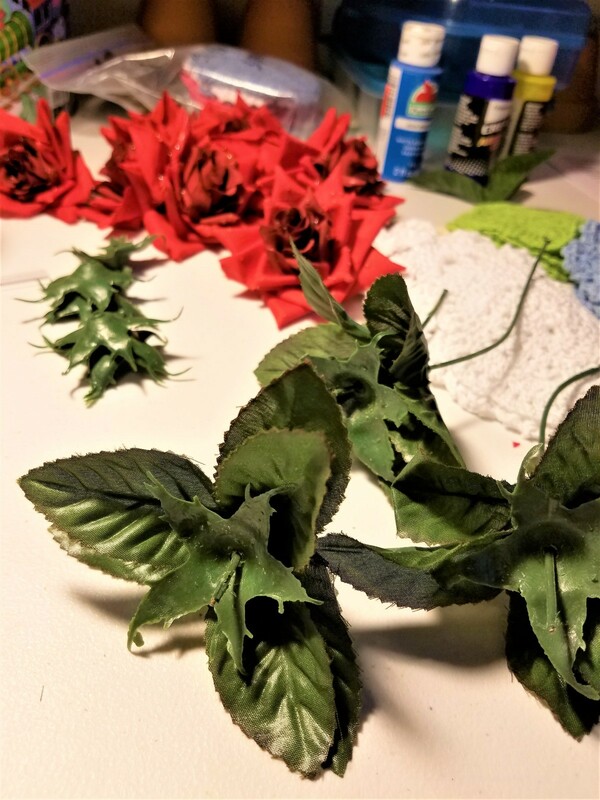 With the wire cutters, separate and cut the rose stems from the base of the stems (where they are all one piece). 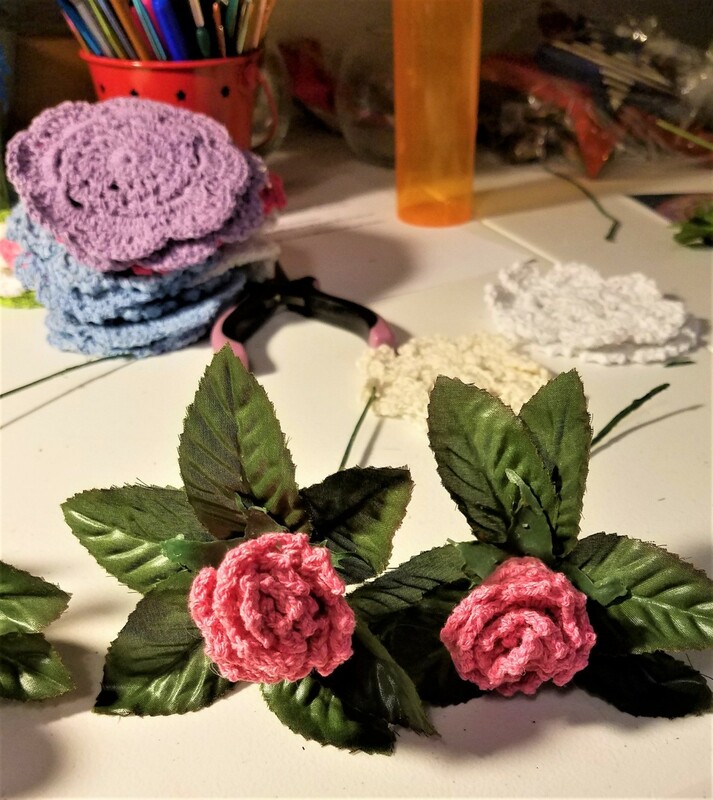 Remove the roses and keep for another project. Don't do what I did and leave that very hard and stiff center in. 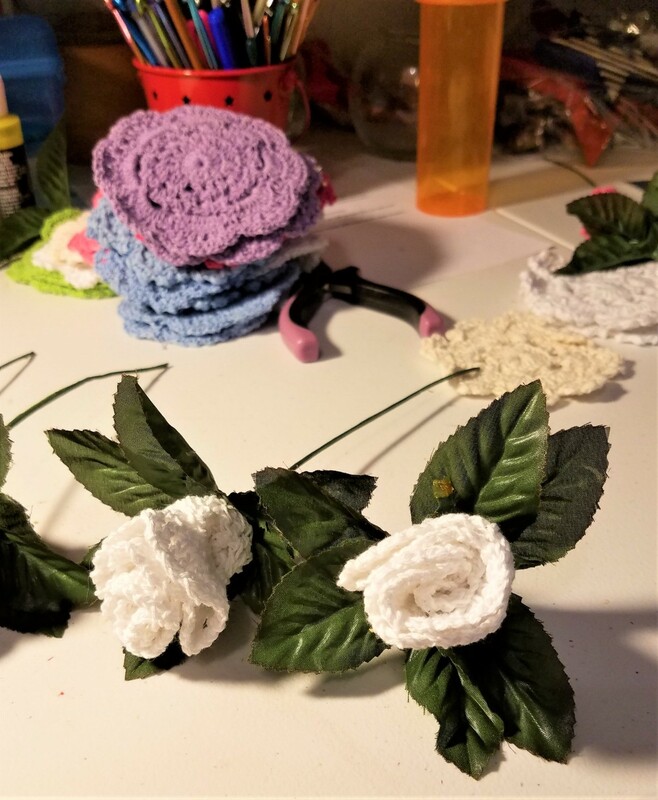 I ended up having to cut it down after I glued it to the doily, so I could glue the leaves to the rose center. Live and learn. 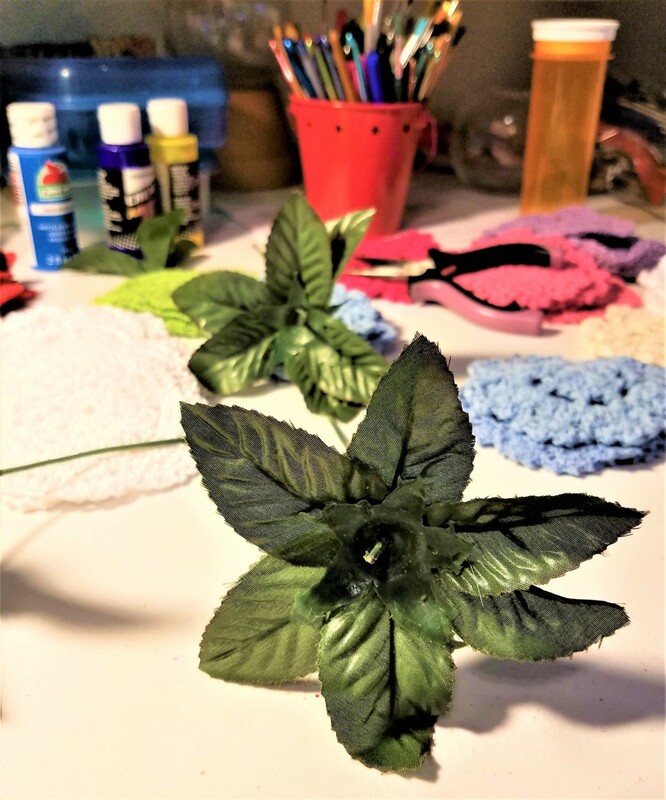 I made sure the two "three directional" leaves were not in the same position, but so it was 6 leaves instead of 3 on top and 3 under them in the same position. 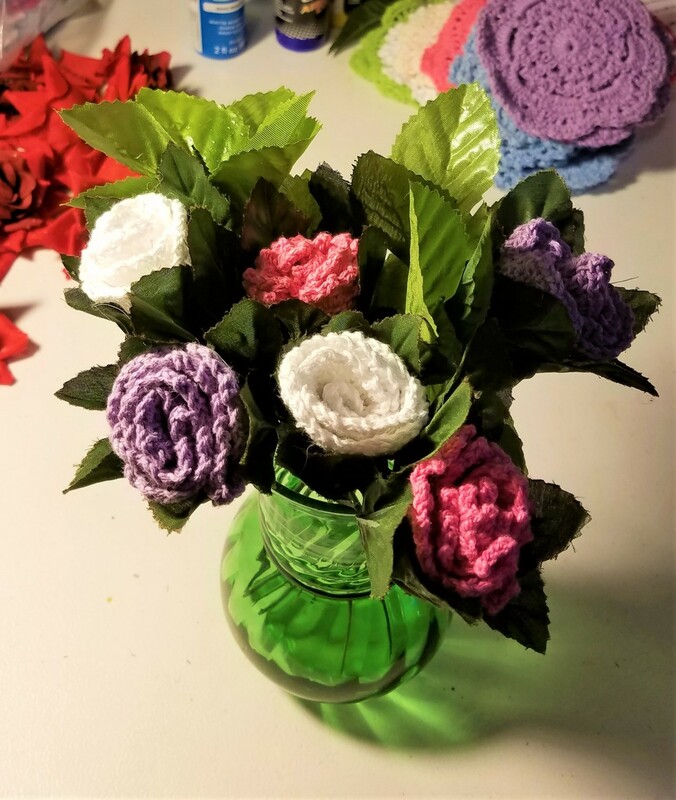 Once I picked the colors of the roses, I folded the doilies in half and glued them in a semi-circle, then glued up the center and rolled them, gluing the last of the roll to itself. Once the glue has cooled, pull the leaf part of the stem down, and wiggle the tip of the stem up through the bottom of the flower. It might be tough, but it will happen. 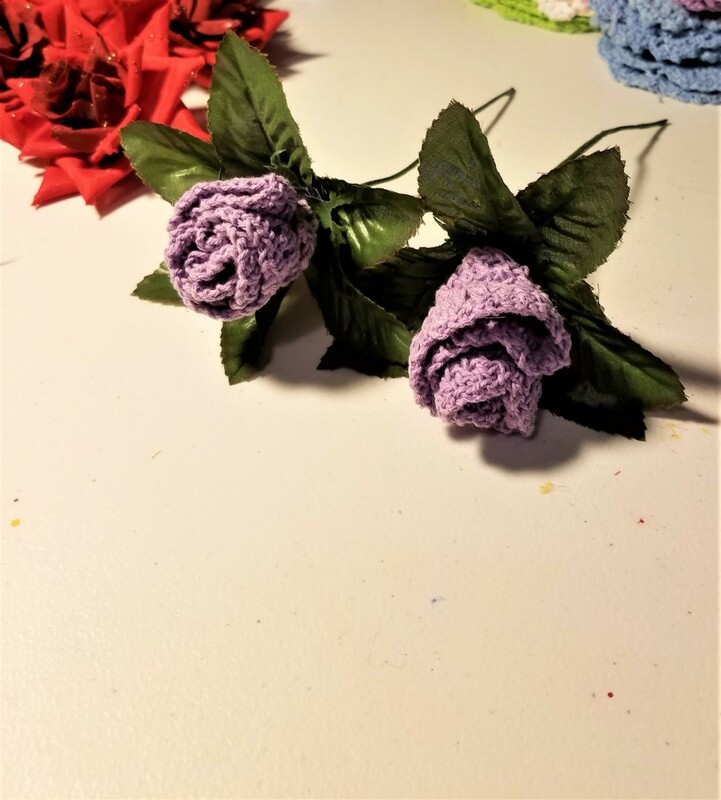 When it's through, glue the bottom of the rose to the top of the leaves. Now comes the tricky part. You can't (or shouldn't) hold the leaves once you try and glue them to the rose. They are just too thin. 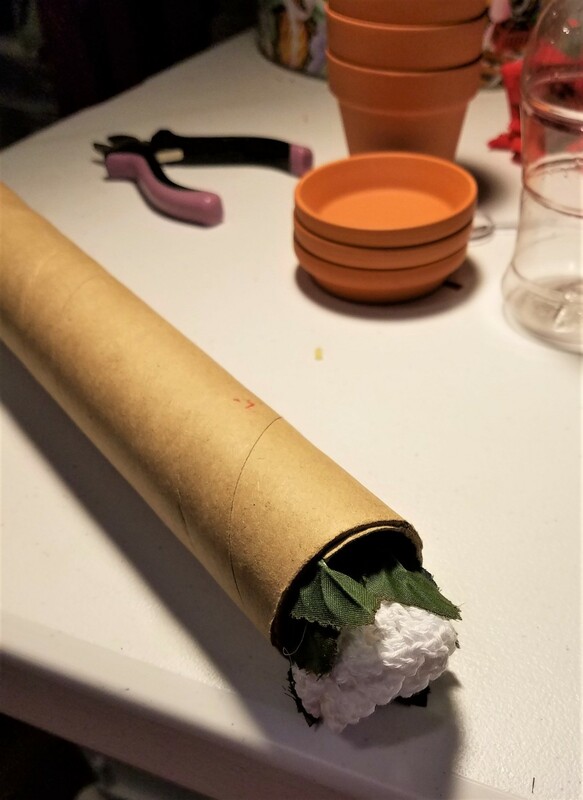 So, quite by accident, I shoved the rose down inside a paper towel roll and it was exactly the right width to secure it so they would glue and stay that way. You can do two at a time like I did, too. I didn't have any baby's breath like I wanted so I gleaned some white faux flora and fauna from mine in my house. N-JOY!! How very clever and beautiful! Thank you so much. I kind of feel like Sandra Lee (my name too, btw) and her semi-homemade. 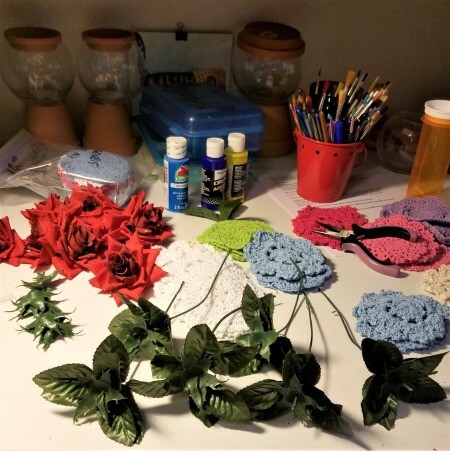 Crafts that are "semi" homemade are faster and often time more unique!! Beautiful !! And these roses will last forever. Thanks for that! And yes, they will. 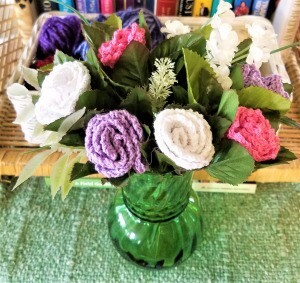 In fact, I am sending one to my daughter and her aunt. They lost her dad/her brother in 2015 and it was his birthday on the 4th. Both get the white ones.